Fashion forward and eco-friendly, these bangles are FABULOUS! Choose from three different (all groovy) patterns. 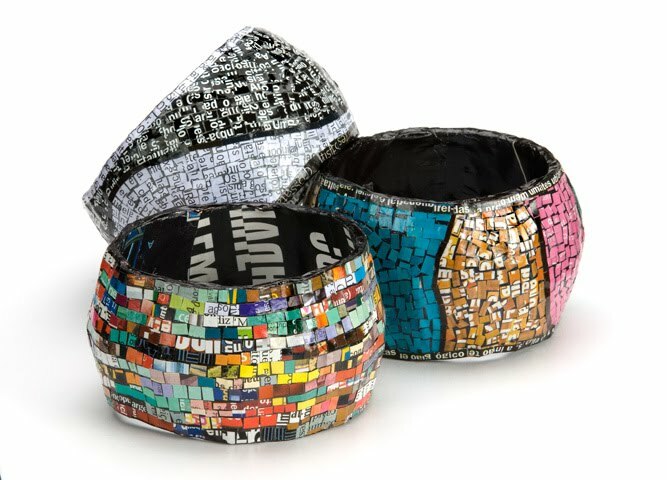 Made from recycled magazines. We should try to make them!